Continuous learning is crucial in the success of a corporate event manager. 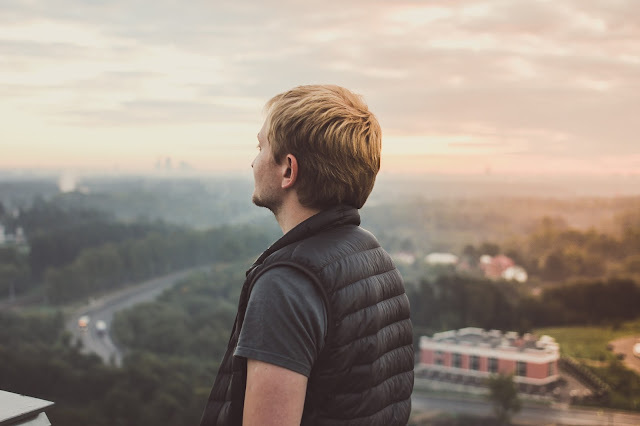 Most of the times, corporate event managers or in-house event departments find it hard to source event management training companies where they can enroll and learn the latest trends in event management. This is the reason why the Philippine MICE Academy was created. The Philippine MICE Academy is the only event management training institution for Meetings, Incentive Travel, Convention, Conferences, Exhibition and Event in the Philippines. 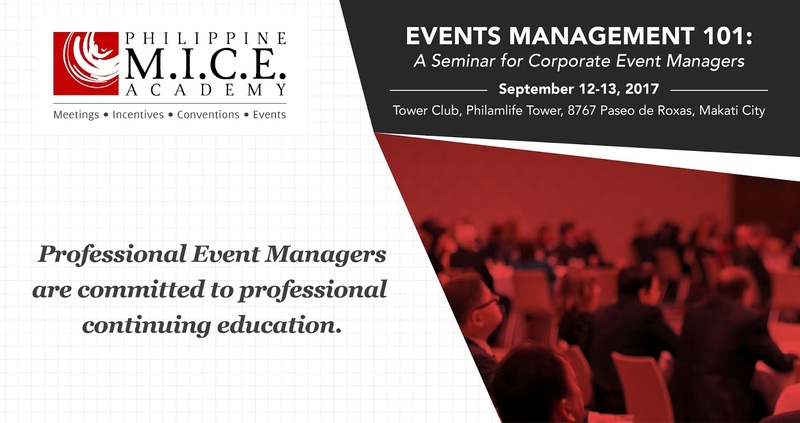 The Philippine MICE Academy has been conducting Event Management Seminars for many years and has trained a lot of corporate event managers for the government and private sector. Having said this, an Event Management Seminar is set this September 12-13 at the Tower Club, Makati City. The seminar is Event Management 101 - A Seminar for Corporate Event Managers. This event management seminar offers critical topics that corporate event managers encounter in the daily achievement of their tasks. Practitioners that are expert in the different areas of events will conduct Event Management 101 - A Seminar for Corporate Event Managers and majority of the speakers are organizers of the biggest events in the country. This ensures that attendees of the seminar will learn the latest trends and tricks of the trade from actual implementation of events. · Event Case Study Facilitator, Cynthia Bernabe, SFRIM, SFRIMgt, Event Management Professor, Enderun Colleges. 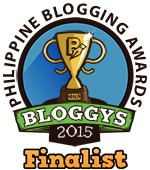 The Philippine MICE Academy is the organizer and producer of the event. Exlinkevents is the marketing partner. For inquiries, call Tel. No. 633-0153 | 643-3887 or email info@exlinkevents.com. The event participation is on a first-come, first serve basis due to the limited slots that it can accommodate. So hurry and register now!